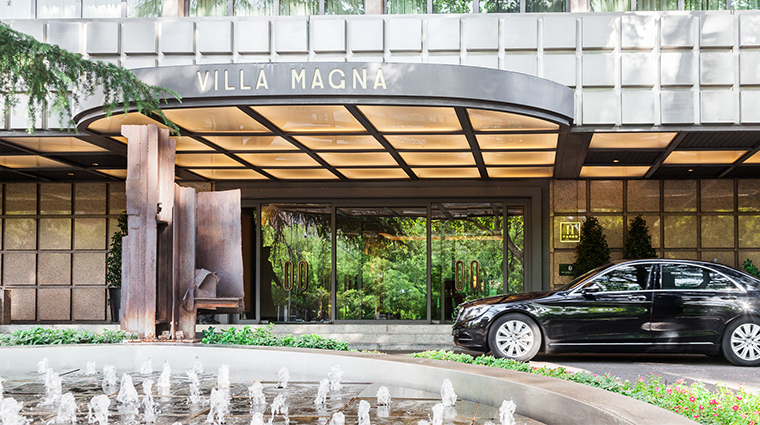 Two impressive white stones welcome you into the lobby of Villa Magna. They are minerals found in the depths of the South China Sea, but were bought from a London antiques dealer. It’s just a teaser of the many jewels hidden inside Villa Magna’s rooms and hallways, from delicate porcelain to handcrafted furniture. 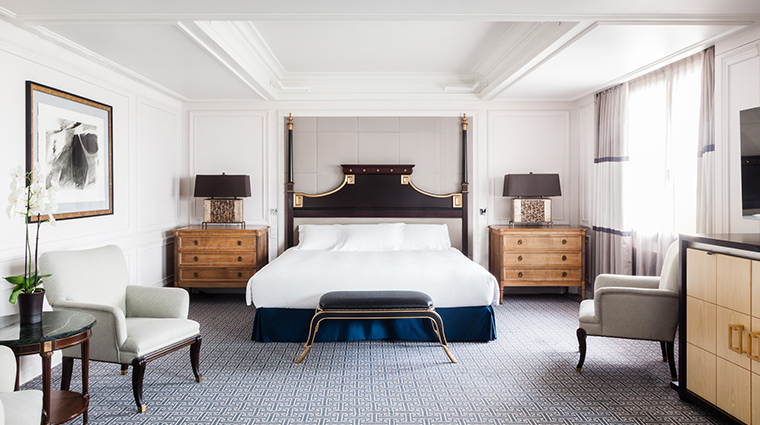 Opened in 1972, the stylish hotel has experienced a second life since its reopening in 2009, after a change in ownership and an extensive renovation. A drab concrete exterior belies the modern, sumptuous decor found within its walls. Public spaces boldly mix styles with empire chairs, Bauhaus art and Chinese screens. 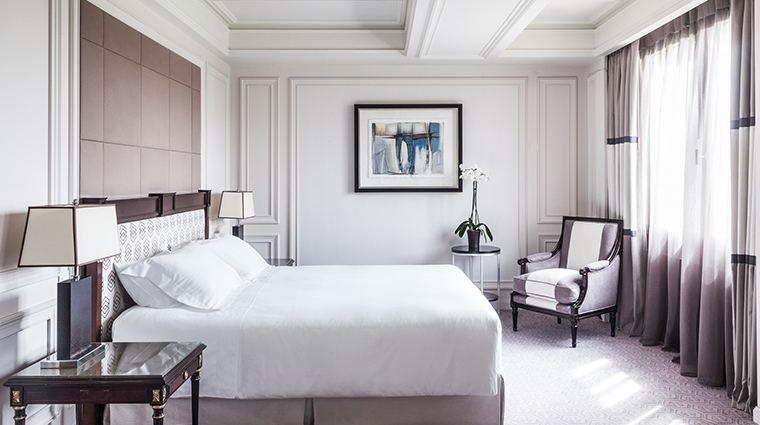 But rooms take on a more soothing aesthetic with a palette of grays and deep purples. From socialites to football players, and top business executives to Middle Eastern moguls and their families, Villa Magna draws in all sorts of guests seeking modern luxury. Customer service takes a flexible and personalized approach at this Salamanca hotel. The multilingual staff is happy to find you a personal shopper, a private limousine transport or a personal tour guide to help you make the most of your stay. 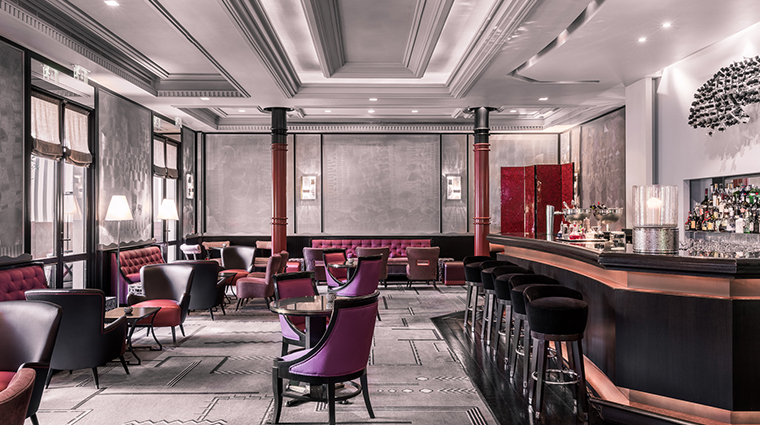 The hotel is a popular setting for business meetings and professional events thanks to a variety of different lounges throughout the property. Facilities are fully adaptable in scale and capacity, with catering services on offer as well. Families will feel right at home here: more than 80 of the 150 rooms have connected doors to keep everyone together. It also offers cots, toys, books, teepees and organic shower products for kids. Villa Magna has as an updated neoclassical style. Designer Thomas Urquijo combines neutral colors, indirect lightning, modern furniture and antiques with a rich variety of textures to create a serene atmosphere. Amalio Prados is the executive chef of Villa MagnaRestaurant. He focuses on high-quality products to create his artfully crafted Mediterranean plates. Villa Magna’s spa is undergoing a remodel and is scheduled to reopen in April 2018. The spa will add hammam baths, a sauna, massage cabins and more. The fitness center is also part of this remodel, but there's no need to skip a workout. There is a temporary room where you can train with the most advanced Technogym machines and work with personal trainers. If you’re traveling with kids in tow, the Madrid hotel provides a host of amenities, including baby food, child-size bathrobes, playpens bottle warmers and sterilizers, baby monitors and more. It’s all about the details in the rooms. They come with flowers, king-sized beds, a pillow menu, more than 100 varieties of tea or extraordinary Dream Mirror flat-screen TVs. The white marble bathrooms are sumptuous with separate rain showers and soaking tubs, Asprey products and six different essential oils. 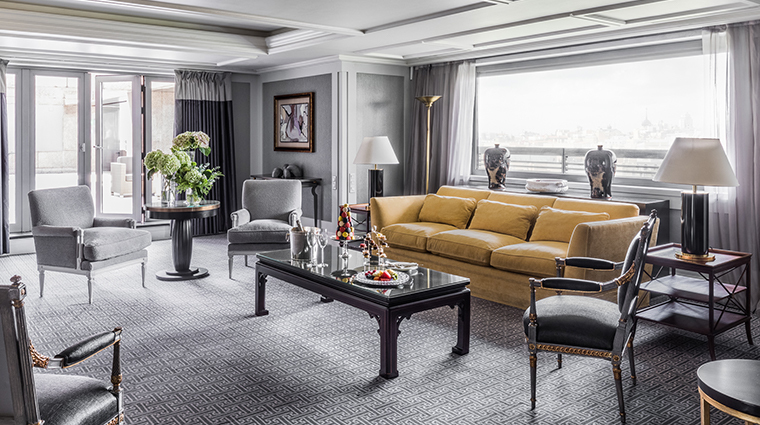 For the ultimate stay, book one of the Madrid hotel’s spacious suites. Starting at 1,400 square feet, these incredible accommodations include separate living rooms, multiple bedrooms (each with its own bathroom), a full kitchen, a dining room and a terrace with stunning city views. Housed in Villa Magna is Cantonese restaurant Tse Yang, one of the most decadent Chinese and Vietnamese eateries in Madrid. Tables at Tse Yang are in demand, so consider booking yours in advance. Just a 10-minute walk from the hotel, the Andalusian brasserie BiBo is one of the trendiest spots in the city, not to mention a terrific stop for a great bite. 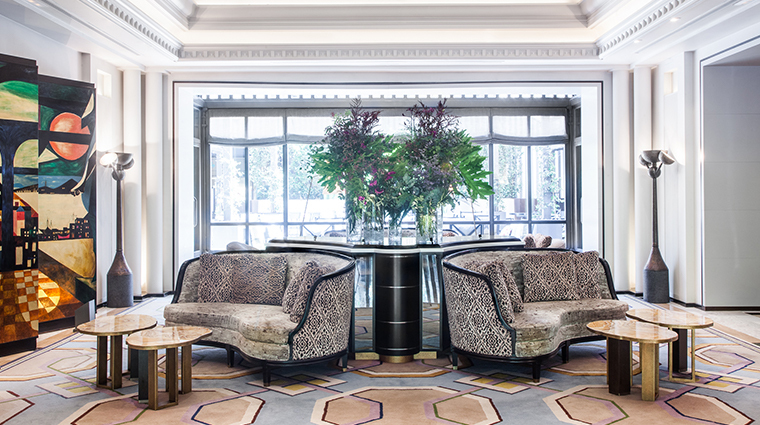 Shopaholics will love that the luxury hotel is connected to department store El Corte Inglés and surrounded by the art-deco-style ABC Serrano shopping mall. 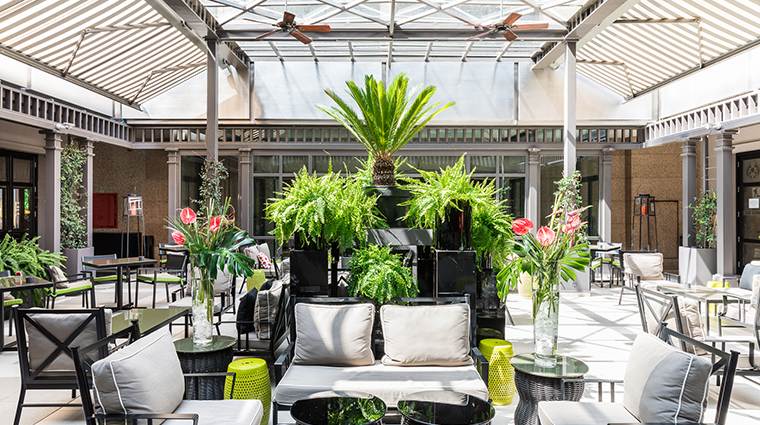 Villa Magna is also surrounded by some of the best jewelers and high-end shopping in Madrid.